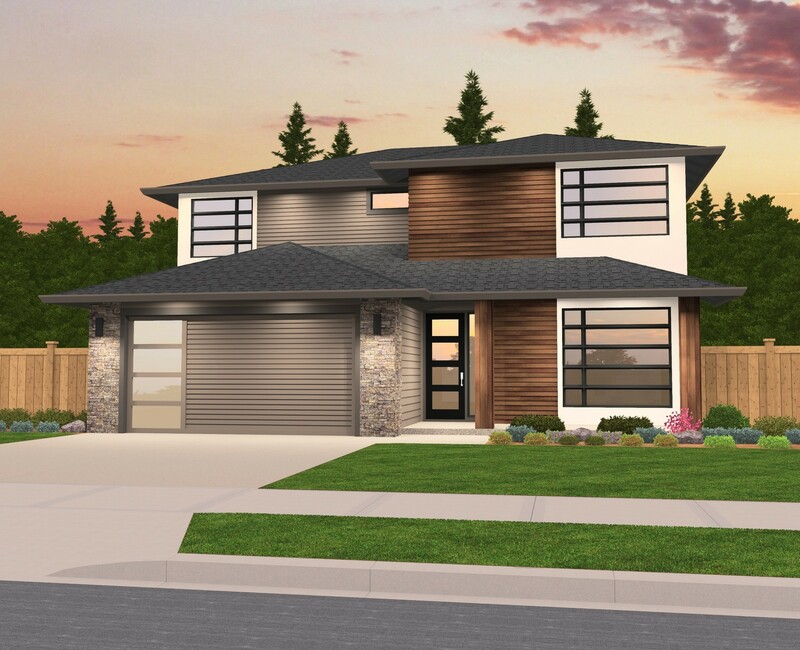 This Elegant Contemporary House Plan offers privacy, flexibility, and modern style in one package. All bedrooms are located on the upper floor, leaving the lower floor dedicated to the open concept gourmet kitchen, spacious great room with a cozy fireplace and dining nook, perfect for those who love to entertain or just want their bedrooms away from the hustle and bustle of the central living space. 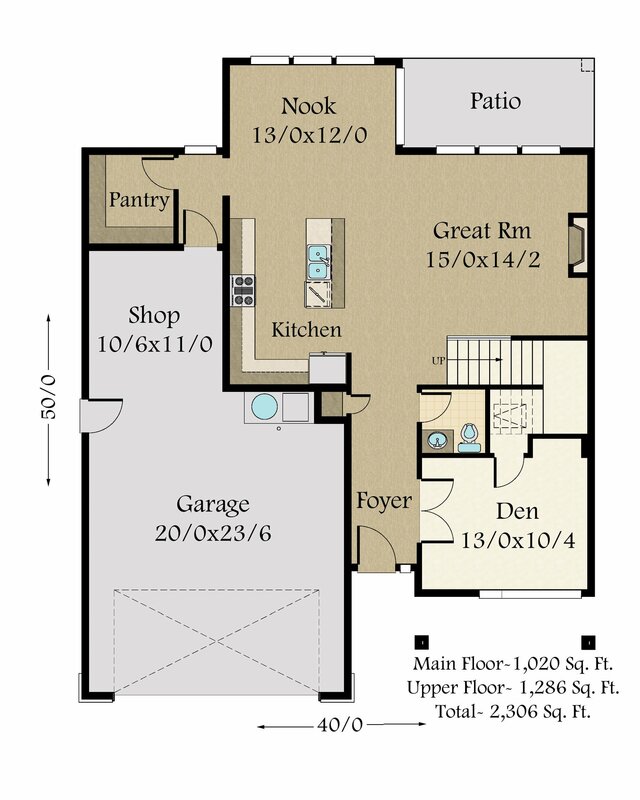 Also downstairs is a den, shop and highly desirable walk-in pantry near the kitchen. Upstairs are two ample sized bedrooms, the utility room, a perfectly placed, large corner game/rec room and the luxurious master suite, featuring a soaking tub, side by side sinks and an expansive walk in closet. 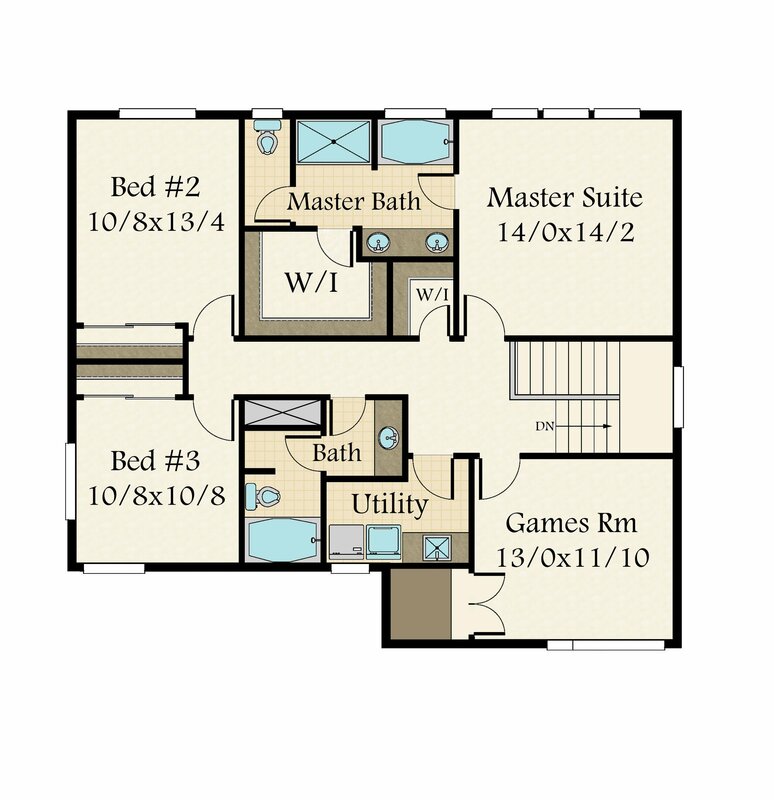 The natural, elegant exterior matched with the pristine and spacious floor plan make this design perfect in every way.